This is a short tutorial how to create a level from a detailed image with lots of pixels, which may be converted in mines or gold (or any other object). Go to http://goo.gl/pvVdtF, where you'll see the code, which makes the level. On the left there is main.py, image.png and level.txt. If you double click on image.png, you see an example image which I used to create a level called EddyMatagallos Conspiracy Theories, which I published some time ago. That's right, I made the image in Photoshop and imported it with code in N editor. However, I feel there is a huge unexplored teroritory here, in creativity of creation! To create your own level, you'll have to change that image. In the website select "root" folder, go to File->Upload File, upload your image. Delete the old image and rename your image "image.png". 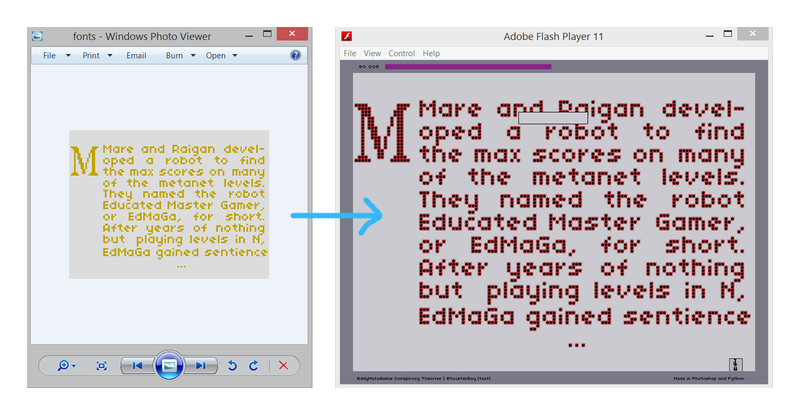 Then you press "Execute", double click "level.txt" and there is your level data, which you copy to N Editor. Yeah! If you want mines, change text on line 159 from "gold" to "mine". I made a picture in paint of required pixels. I upload it on root folder and it pops up something saying [object Object]. I click Yes. Then I delete the image.png but again [object Object] comes up. I click yes again and it doesn't delete. I need help. Dude. That is so cool. Really impressive. "size 124 x 92 pixels." "It has to be PNG"
Colour "#c0a300 or 192, 163, 0"
I know you said you got the size right, but if these aren't all correct it won't work, according to garamond. I checked and the code doesn't work anymore - it wasn't saved on the website. Although it worked at the time I posted it. However I will post the code either here - and you will have to install python etc ... or hopefully on some website which would be much easier to use (on the site from the first post I can't get it to work, and I can't find a new one trivially since it requires uploading files and PIL Libraray). I made a simple Windows application for this, since it stopped working online. 1. (once) You unzipp it, and just run the exe. 2. Select image which you created. Two sample images are included, so you can copy the exact colors for objects. 3. N Level data is generated and copied to clipboard. Paste it in N editor. Most objects are supported. Use it for whatever (you're creative! ), just don't use too many objects so the game doesn't become too slow. Garamond - I see your example ones - damn that's awesome. It didn't work for me - When I tried and pasted the code in, nothing loaded. That's all that ever comes up as the copied code. What I noticed is if you close the program before you paste level code somewhere, it is empty. Try selecting an image, waiting a few seconds, pasting the code, and then closing the app (althoug it's not necessary to close it). Use my example images first, they should work. Yes, I did these two images (Photography I and II) with the help of this program, but I also did Photoshop script. So it automatically generates images. 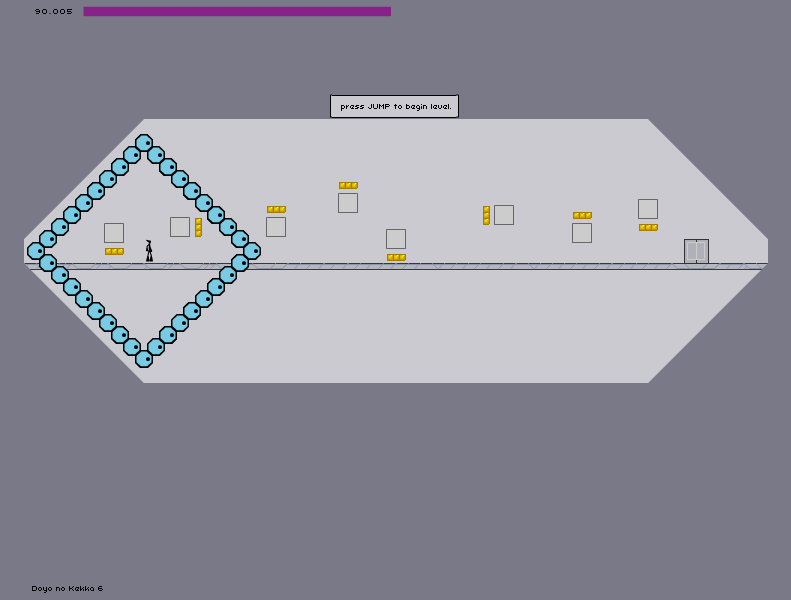 I'll also post a newer version of the program which supports all objects, except exit door. Edit: strange - can you send me a picture you are trying to convert? Ah, my images are not the same size. That's the issue. How can I make my image the same size? Hmm. I suggest you copy my image which you downloaded my program, and simply change it. Just change pixels that you don't need to background color. Pixels that you do need have to be exactly the same colour - the same RGB values. I can help you more if you tell me which program you use for image manipulation? I don't have a program for image manipulation. Whenever I open the image to n.exe file, it pop up an error saying failed to load image from the file D:/Miha/N2/creation/image to level/icons/N-icon.ico". I click ok and after that the program doesnt work. the fault isnt in my picture because I tried those pictures you gave, those also dont work. PS: those levels were great ! That was an error in my program. Let me know if new version works for you. Everybody has an image manipulation program, I simply meant something like Painter in Windows. 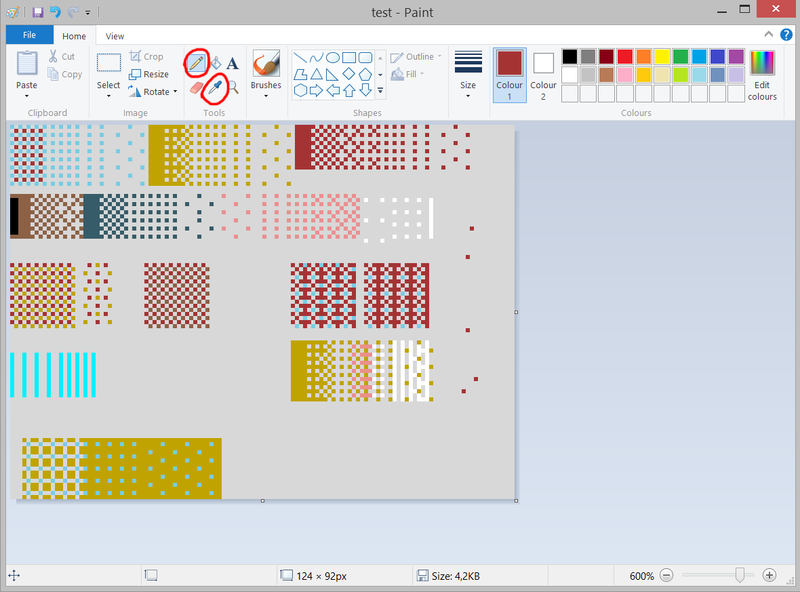 You use color picker and pencil (circled red). Ahh, OK. I am no good at art, so I can't make these images. No worries, still a really cool program. I noticed the link for a program that I posted stopped working (from the N user level by sylvyr). Hi, this is the source code. Maybe you can use it or maybe it will take you the same amount of time to write it yourself - it's not documented or well written.